Product information "Anti-Rabbit Ig IP Beads (TrueBlot®)"
TrueBlot® anti-Rabbit Ig IP Beads are a suspension of activated agarose beads coupled with goat anti-rabbit IgG. 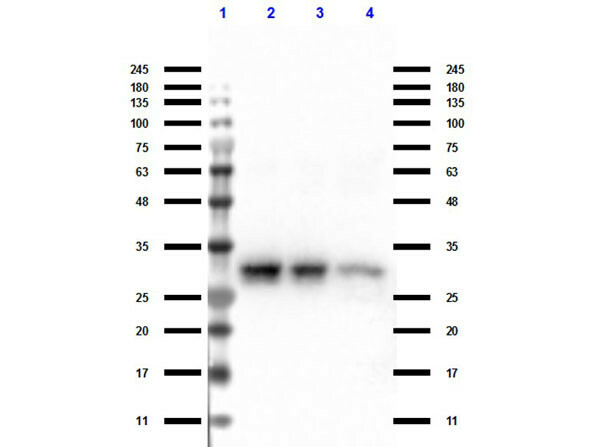 It is suitable for precipitation of rabbit IgGs used as the primary antibodies in immunoprecipitation assays. The beads are in suspension and will settle upon storage. Prior to use, mix the vial gently (do not vortex) to ensure delivery of proper bead volume. Use with Rabbit TrueBlot® (cat # 18-8816-33). Customer review for "Anti-Rabbit Ig IP Beads (TrueBlot®)"